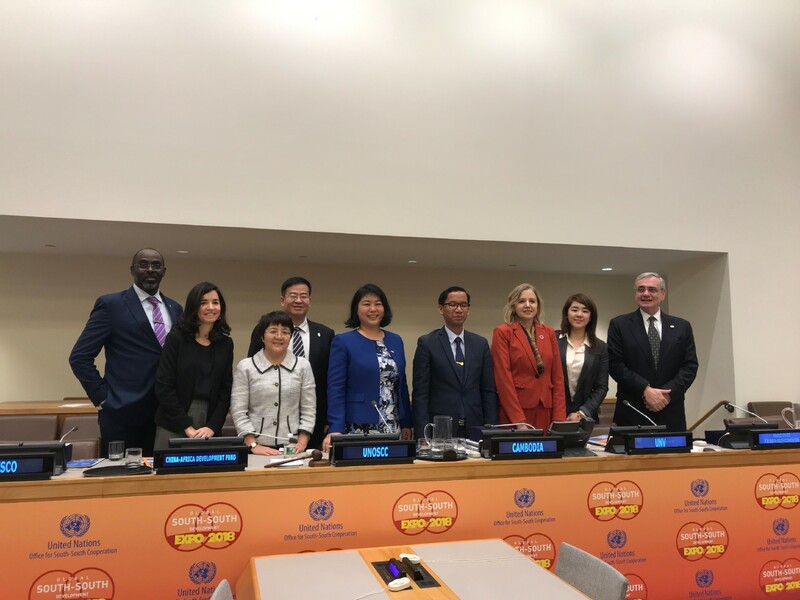 From 28th to 30th November 2018, Ms. Zhang Jirong, Deputy Director-General of FCSSC, was invited to attend the Global South-South Development Exposition held at United Nations Headquarters in New York, hosted by the United Nations Office for South-South Cooperation and co-organized by other United Nations agencies and partners. 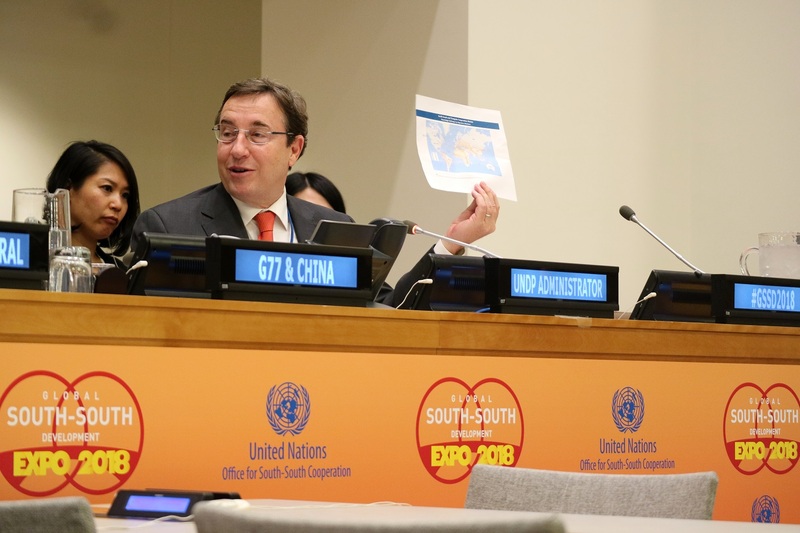 As the only Expo offered by the United Nations system solely for the Global South, this year’s Expo was themed “Showcasing Institutions Supporting South-South and Triangular Cooperation, in Preparation for the Second High-level United Nations Conference on South-South Cooperation (BAPA+40 Conference)”. Zhang Jirong, Deputy Director-General of South-South Cooperation Finance Center, attended the Expo and gave a speech at the plenary session. 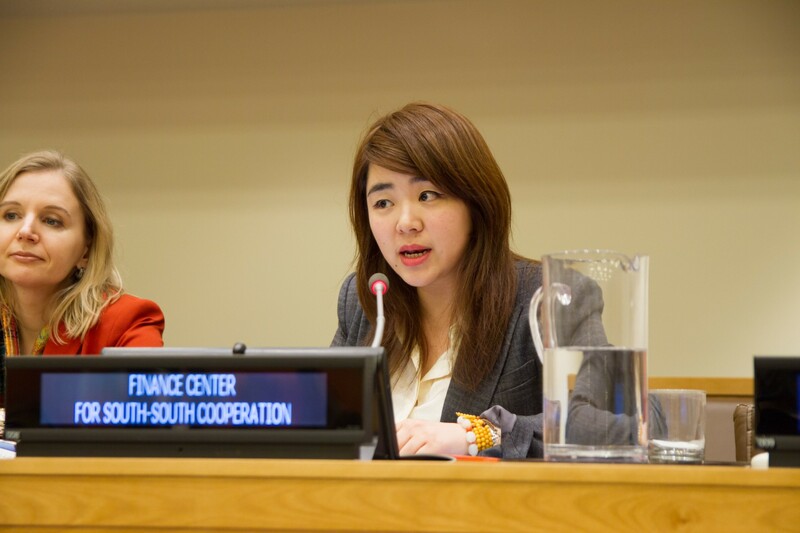 In her speech at Thematic Solutions Forum "Promoting youth entrepreneurship to achieve sustainable development goals", Zhang Jirong suggested that FCSSC has just started as young entrepreneur organization, but has already achieved in promoting international capacity cooperation, facilitating exchange of development experience and best practice and providing financial services in the past three years, and has been in Special Consultative Status with ECOSOC of the United Nations. Development and outstanding achievements of FCSSC derive from a close partnership with governments of developing countries, private companies, multilateral development institutions, and international development assistance organizations, which is the core of entrepreneurship. For youth entrepreneurship in developing countries, acting as a partner of the Advanced Youth Leadership Programme “Youth4South”, together with the South-South Education Fund, FCSSC provides more opportunities and assistance to youth in the Global South, focused on economic development and cooperation of South-South countries, especially mobilizing private capital in the Global South. Therefore, FCSSC will continue to enhance capacity cooperation, setting a better stage for youth entrepreneurs through practical projects and investment to foster young business leaders. 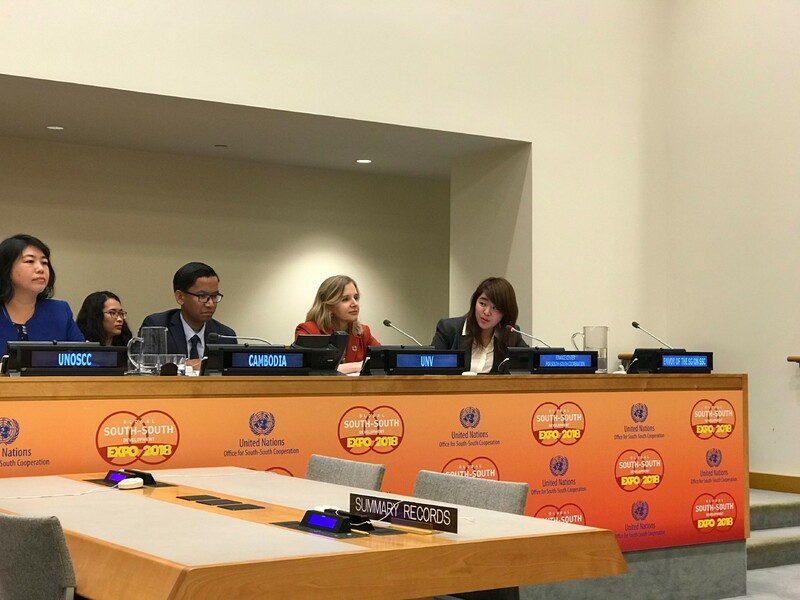 Meanwhile, we will actively promote the close partnership with governments of developing countries, private enterprises, multilateral development institutions, and international development assistance organizations. The Expo gathered more than 850 delegates from 120 countries of the United Nations. 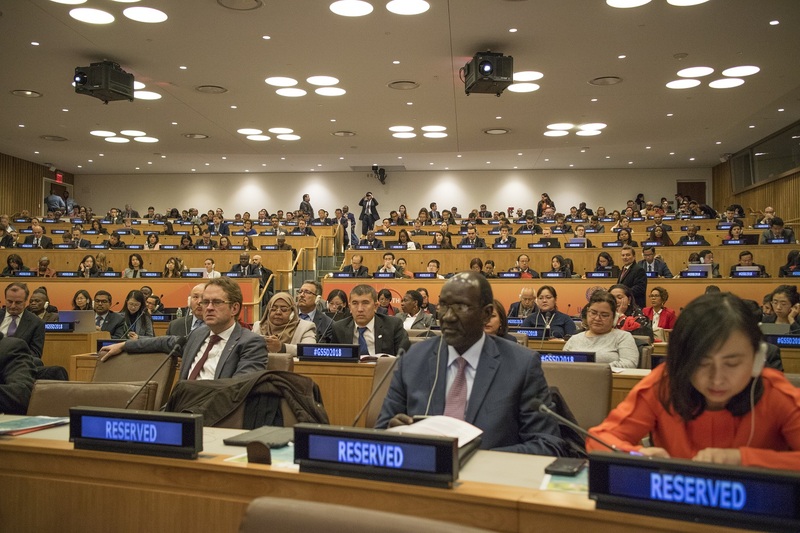 All parties had in-depth discussion about South-South cooperation, Triangular Cooperation, and sustainable development, covering poverty eradication, youth and women engagement for SDGs, innovative financing mechanism for South-South cooperation and sustaining peace and promoting inclusive development, proposed tapping the potential of Global South in sharing development benefits, sharing knowledge and lessons learned, exploring new opportunities for collaboration, and initiating new partnership efforts. Previously, FCSSC has also participated in the 2016 Global South-South Development Exposition hosted by the United Nations Office for South-South Cooperation at the Dubai World Trade Centre, focused on the 2030 Agenda and the dynamic role and contribution of the private sector.